We say it time and time again on this website: if you want to reach the top of the ladder in any competitive game you’re going to need to make sure that your gear isn’t holding you back, and that also goes for your audio. 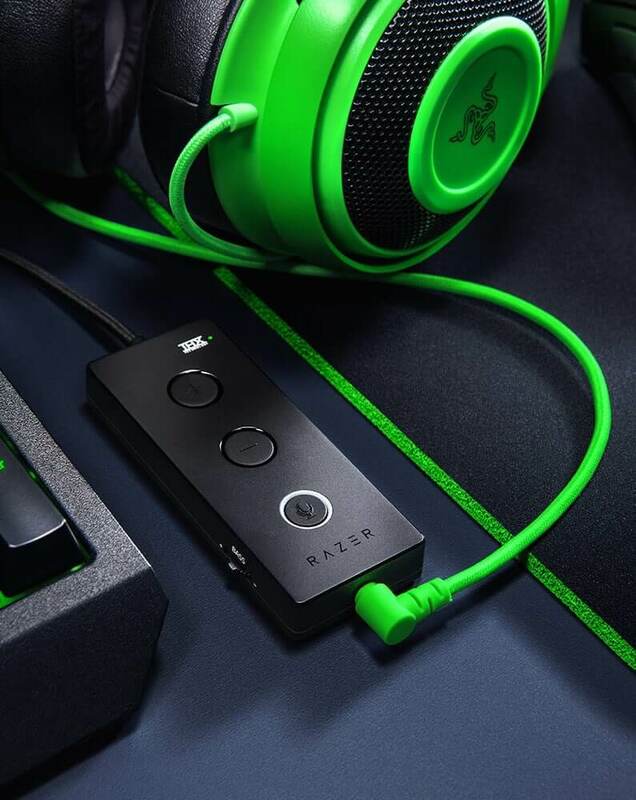 Razer’s line of Kraken headsets has been around for a pretty long time, and with this iteration they’re looking to push the envelope by giving us the first gaming headset to introduce THX Spatial Audio. Razer aren’t the only ones trying to have your ear though, especially not at the mid-range (for gaming headset anyway) price point. Is the Kraken Tournament Edition worth taking a look at? We’ve sent a pair over to our reviewer to give you a full answer to that question. 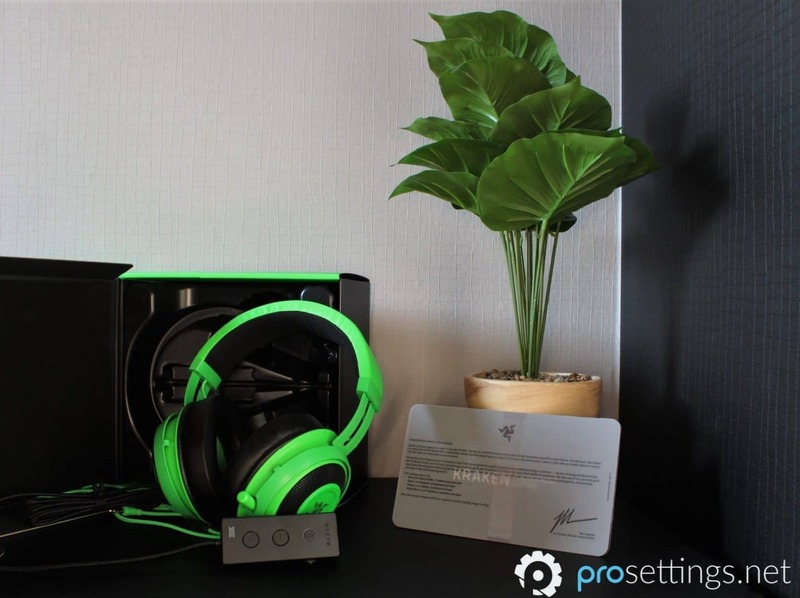 There’s two things I immediately noticed when I first unpacked the Kraken TE: its looks (though it should come as no surprise that Razer products have that signature Razer green on them) and its rather hefty, premium build quality. The first point is a matter of taste; I personally don’t really care about the looks of my gaming gear, though it’s worth mentioning that you can also get this headset in a more subtle black colorway. The headset itself is a bit larger and bulkier than I had anticipated, but that’s by no means a negative. The Kraken TE feels really well built: the headband is made from aluminum as opposed to some sort of flimsy plastic that you might find on other headsets. There’s not a whole lot to talk about when it comes to unboxing this product, and why should there be. The Razer unboxing experience is always a good one. Inside the box you’ll find the headset, the USB unit, the standard documentation and a note from Razer’s CEO saying ‘sound is just as important as sight in the heat of battle’ (I tend to agree on that) and then some explanation on how they crafted this headset to be the best it can be. Inside the instruction manual you’ll also find two Razer stickers. As I mentioned the Razer Kraken TE is a really well built piece of hardware, and it’s very comfortable to boot. A nice extra touch is that the headband has little markings on it so that you can ensure that you always have the perfect fit, even if you need to pack the headset up to travel or loan it to a friend or something like that. I have a rather large noggin and because of that some headsets or headphones can get quite uncomfortable after prolonged use, but that wasn’t the case with the Kraken TE. The soft cushions (which are made of memory foam) feel great and I never had any trouble with the headband putting too much pressure on the top of my head either, despite using the product for hours on end during my testing. 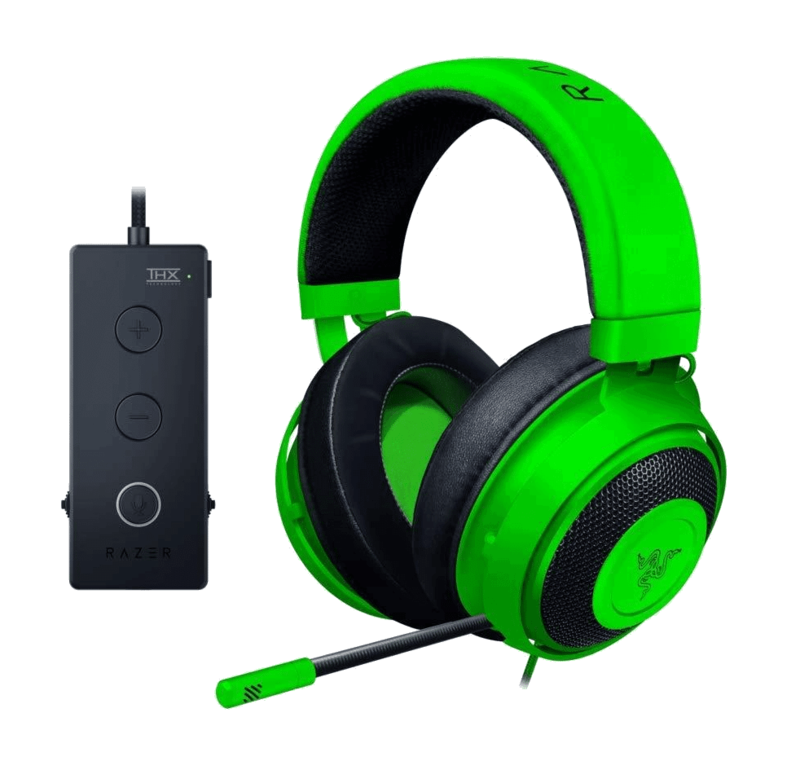 The ear cushions also feature a cooling gel layer which, according to Razer, reduces heat build-up when gaming, as well as a heat-transfer fabric which helps with the evaporation of sweat. It’s winter here now so it’s not like I’ve been gaming in tropical temperatures (though my office does get a little hot if I’ve been gaming in it all day), but as far as I can tell I never had any issues with sweat or heat, so the technology they’ve implemented seems to work, at least at regular-ish room temperatures. But even without the cooling solutions the headset would get full marks for comfort. I got a good and comfortable seal around my ears and the headset managed to stay in place without ever feeling like it was clamping my head a bit too much. To top it off there’s also a (hidden) channel in the cushions themselves for eyewear. I don’t wear any glasses but I did try out the headset while wearing a pair of sunglasses in order to test this feature and based on my (admittedly very limited) experience the indentations do just what they have to do. That, and I looked super fly while clicking heads. It really seems like Razer went the extra mile here when it comes to comfort and, for me at least, they managed to deliver on all fronts. Wearing this headset is an absolute pleasure. I’ll get one thing out of the way first: the microphone isn’t that great. Don’t get me wrong: it’s not bad either and I didn’t have any issues with teammates not understanding what I was saying, but I’ve definitely heard better headset microphones. This isn’t a huge issue, as you just don’t expect crystal clear microphone quality from a gaming headset but it’s something I should mention either way. To the right you can hear a little sample of how the microphone sounds. The sound is something else. I’m mostly judging this headset based on its gaming performance here and it really did an amazing job on that front. I mostly used the Kraken TE with the included USB audio controller (you can also use it without the USB controller obviously) and at times I was really blown away by the sounds this headset can provide. As you know, the Kraken TE is the first headset to introduce THX Spatial Audio, and while some implementations of ‘surround sound’ in gaming headsets are little more than gimmicks I have to say that the THX tech really shines. It doesn’t sound as good in every game (though that could also be because of the inferior sound design in some of the games I’ve been testing) but most of the time it really makes everything sound that much better ingame. There were moments where I was playing Battlefield V and I really felt like I was back at the movie theater watching Dunkirk. The Kraken TE’s THX audio doesn’t just make everything sound good, however. It also really helps with distinguishing where sounds are coming from. My main competitive game is Overwatch, and the technology really helped with pinpointing where everyone was or where stuff was coming from. As it says on the little card you get when opening the box: sounds is as important as sight in the heat of battle, and the Kraken TE really drives home that point by providing an excellent sound. I also used this headset to listen to music (I’m actually listening to music while writing this review) and watch movies and it performed just fine there as well. 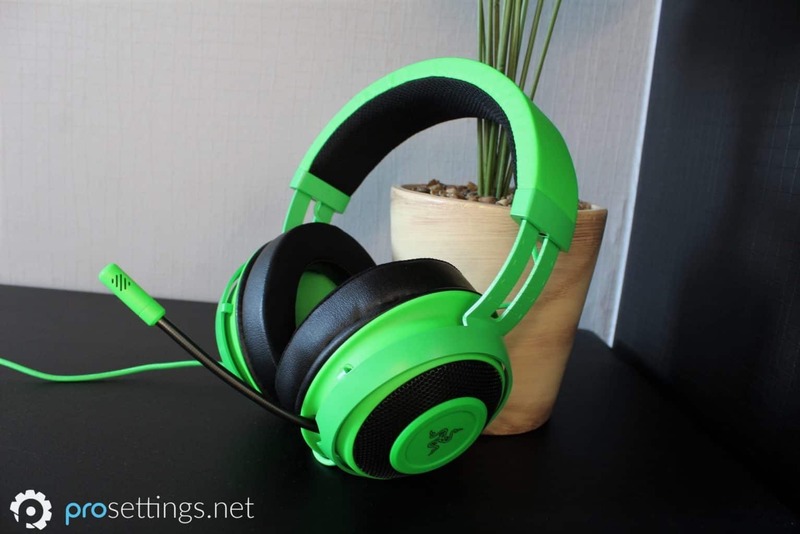 Whereas some gaming headsets like to go overboard on bass I found that the Kraken TE managed to find a nice balance between the lower tones and the higher tones, and with the ability to adjust bass on the fly you’re pretty much set for any genre of music or movie. I won’t be comparing this headset to audiophile headphones meant for music (because for the price of one of those you can get several Kraken TEs and this website is focused on gaming) but I definitely didn’t mind using it to listen to my favorite tunes and watch my favorite shows. The Kraken TE can be used in two ways: you can use it with the included USB controller or you can just plug it in via the 3.5mm audio jack. This means that you can easily use this headset as a daily driver for your phone and all of that as well. 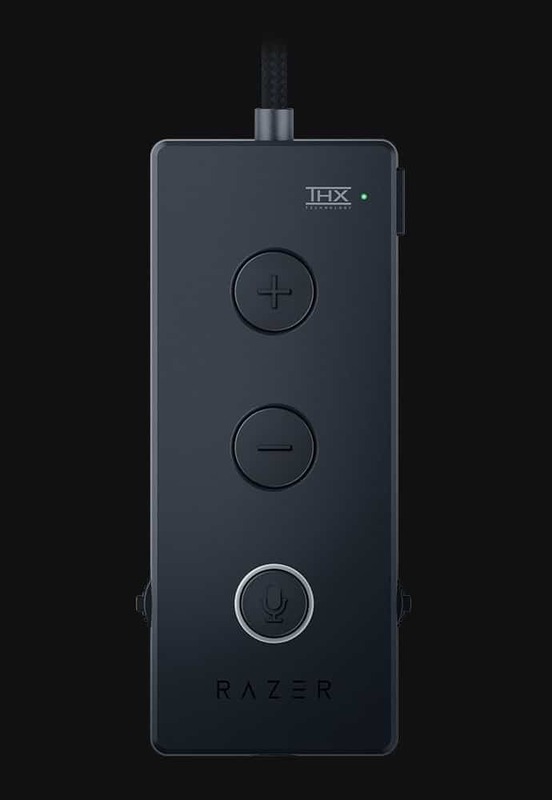 If you use the Kraken TE with the jack then you get the standard volume control and mute button on the cable itself, but the audio controller gives you a lot more options. It features (obviously) volume controls, a button to toggle THX Spatial Audio on or off, a bass adjustment wheel and another wheel to adjust the balance between game and chat audio. The USB unit also has a sticky underside which will allow you to properly secure it somewhere on your desk. You can do that multiple times (the sticky substance doesn’t wear off easily and doesn’t leave any residue behind on your desk either) and it’s a nice extra to have, but I mostly ended up putting the controller on my lap to be honest. 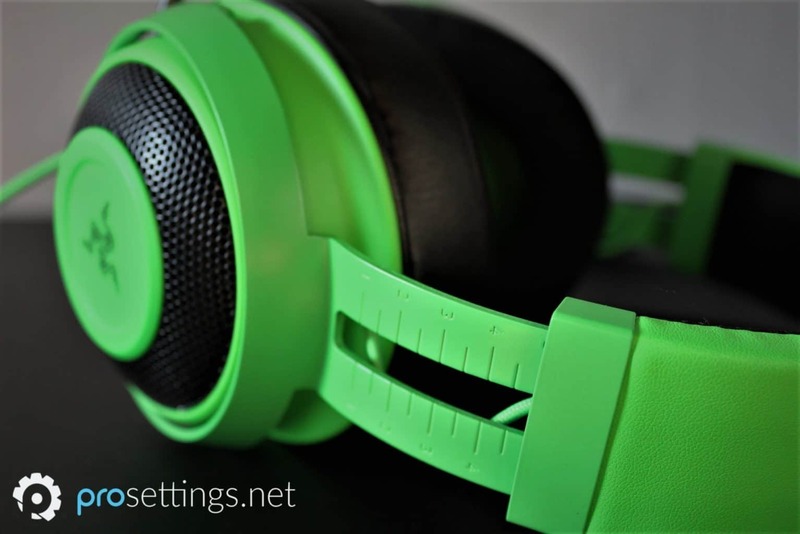 Even more customization awaits in Razer’s Synapse software, where you can calibrate the THX feature (as well as toggle it on/off for certain apps), as well as adjust the sound of the headset through the built in EQ. 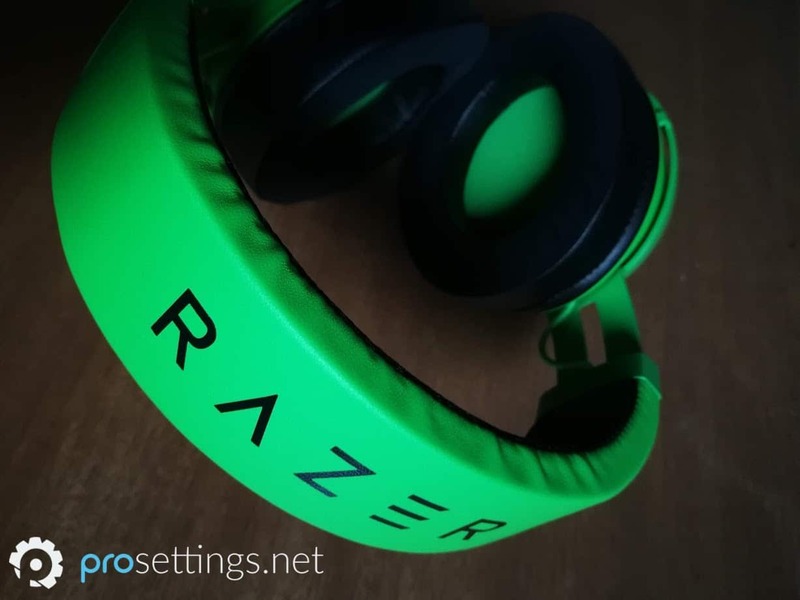 You can make a completely custom mix, but Razer also includes preset profiles for gaming, movie watching, and music. I never say ‘no’ to more options for customization so this is definitely something that’s appreciated. As far as the headset itself is concerned there’s not much that hasn’t been said already. The mic is retractable, which is nice if you’re just listening to music or watching a movie. The mid-range headset market is a saturated one, so it’s difficult to stand out in that section of the market. Razer managed to do it though, in my opinion. The Kraken TE delivers stellar and clear sound and the addition of THX Spatial Audio is by no means a silly gimmick. The included USB audio controller has some neat little features (I especially love the ability to adjust the bass level on the fly) and the headset seems like it’s designed with careful attention to detail, from the little markings on the headband to the eyewear channel. It’s also a very comfortable piece of gear. I have been using it for hours on end and I never had the feeling that I wanted to take it off for a little while ‘to let my head breathe,’ so to speak. The only real disadvantage I could find with this headset is the fact that the mic doesn’t really deliver on the same level that all the other aspects do. It’s a bit of a shame, but not a deal breaker at all in my opinion. All in all the Razer Kraken TE seems like it set out to do a number of new things, and it delivers on nearly all of them with ease. This one is definitely worth considering.